I love wildlife. Maybe more than people. Since retiring five years ago, I’ve spent a lot of time enjoying the outdoors and exploring new and familiar places. I’m a frequent visitor of our national parks and I also trek through nearby national wildlife refuges almost every week. Before I share my tips for seeing more wildlife, let’s cover a few credentials. My friends constantly tease me about my wildlife photos, speculating on how I get so close to creatures large and small. I’m not a professional photographer, wildlife ecologist, zoologist or “ologist” of any kind. I do, however, enjoy studying wildlife and pride myself on making connections with park and refuge experts who help quench my thirst for more knowledge and understanding. So, let’s get started. I’d cancel a luncheon with Aaron Rodgers or the Pope if it rained out the day before. I see a lot more wildlife, especially during forest hikes, when the leaves and canopy floor are soggy from rainwater. It makes sense – my footsteps are quieter which allows me to sneak up on birds and animals that don’t hear me approaching. In addition, some wildlife hunker down during rainstorms and then become very active the following day. Weekdays are my best days for seeing wildlife, for one simple reason: fewer people. I realize that this strategy may not suit your lifestyle and schedule but, if it does, avoid weekends. In general, I do like meeting people, just not when I’m hiking. And not surprisingly, dusk and dawn are great times of day, for early risers. In addition to hiking in wildlife refuges, I also drive through them, since many maintain networks of unpaved roads meandering between ponds and fields. And when we’re visiting national parks, we hike during the daytime and often finish our day with an evening drive to look for animals. So, why is this important? Your vehicle acts like a mobile duck and wildlife blind, especially for birds. Most wildlife are used to hearing and seeing vehicles; it’s humans they’re more concerned about. And a note of caution: when you spot a bird or animal, getting out of your vehicle will often result in instant flight. Several of my favorite wildlife photos have been captured from my SUV. In addition, I drive with the windows down, which increases the chances that I’ll hear wildlife before I see them, especially hawks and songbirds. I learned these vehicle tips from refuge staff. Websites, especially those of the U.S. 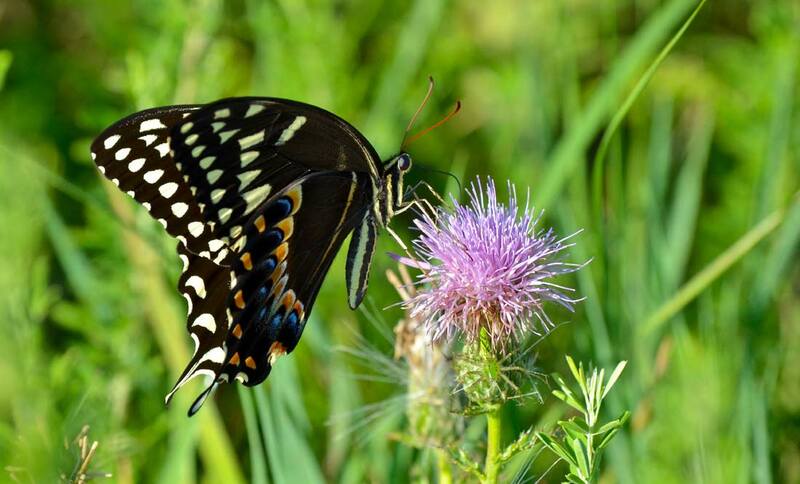 Fish and Wildlife Service (which manages our national wildlife refuges), contain good info about viewing plants, birds and animals. I’ve planned many hikes and adventures based upon their “seasons of wildlife” pages that highlight what you might see throughout the year. In addition, I always stop at the visitor center to talk with a ranger, naturalist or wildlife officer. Ask about recent wildlife sightings. On occasion, however, I find that park and refuge staff are sometimes reluctant to share specifics on locations. And for good reasons. Many tourists hassle animals and disrespect the landscape, which ruins it for the rest of us. When I stop to chat with staff, I make sure they get a sense of how respectful I am towards nature – I want them to trust me with their insight. In one instance, a ranger asked for my cell number and said he’d call me with any interesting wildlife updates. And he did! Not my best virtue, but patience produces wildlife. I’ve encountered a lot of birds and mammals when I paused, sat on a stump, listened and surveyed the trees and meadows. 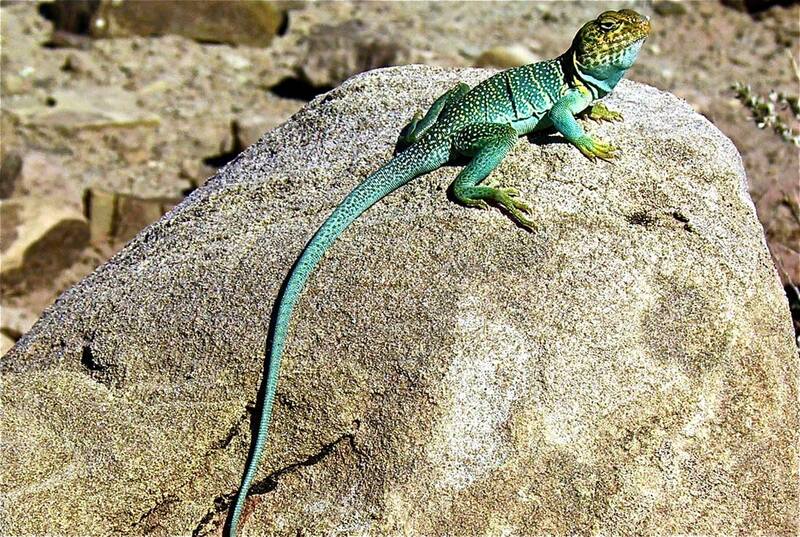 Many times, a movement or sound will reveal an animal’s location. For example, while hiking at Cape Romain National Wildlife in South Carolina, I stopped along the beach and rested on a piece of driftwood. 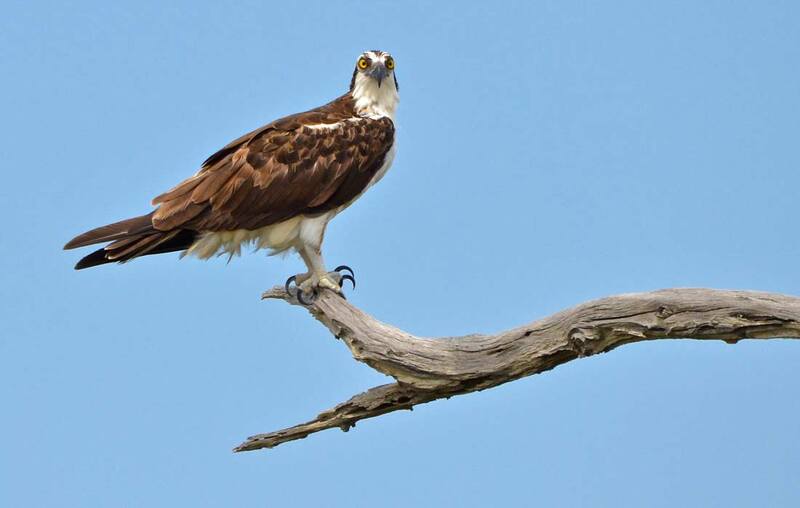 After several minutes with just my thoughts, I heard a large swoosh of air behind me, turned and faced the osprey pictured here in this article. She stayed briefly, just long enough for me to snap a few photos while my goosebumps exploded. Everybody wants to see a bear, moose or Sasquatch. I get it – big creatures are cool. But you’ll miss out on other wildlife that, in my opinion, are even more interesting. 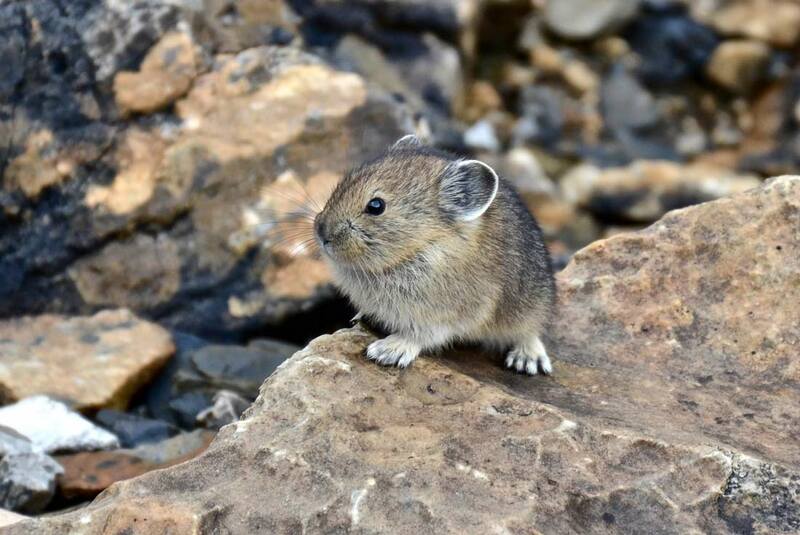 The pika may be one of the most fascinating animals we’ve encountered. Also referred to as the “rock rabbit,” pikas can be heard squeaking and singing in rocky alpine areas. After hearing one while hiking in Canada’s Yoho National Park, my wife and I camped out on a boulder and just listened and watched for 20 minutes. Several pikas scampered closer and closer to us until I snapped the photo included here. We also love looking for butterflies and birds. 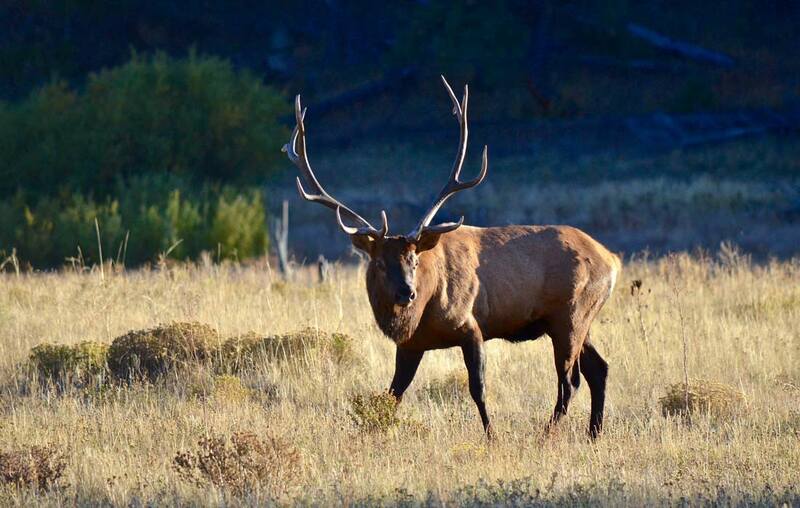 Of course, we enjoy spotting an elk or pronghorn, but many of the smaller creatures exude just as much majesty. In closing, consider taking binoculars for wildlife viewing. We recently upgraded to a Nikon Monarch 5 binocular and the image clarity is markedly better. Viewing wildlife is special. But seeing the color of their eyes is spectacular. Good luck and keep your distance. Like to walk on the wild side? Check out our Yellowstone National Park winter wildlife blog about Lamar Valley.